Sacra Liturgia UK opens in just over two weeks. Thus far, registered participants will be coming to London from over fifteen different countries throughout the world to meet each other and to study and discuss questions of liturgical formation and celebration in the life and mission of the Church today. 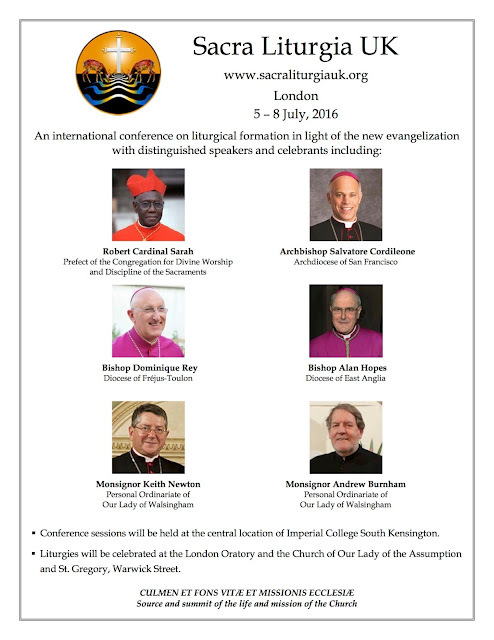 The conference is open to anyone interested in the liturgy. Full conference, single day, and student rate registrations remain available. It is possible to register for the opening afternoon session (which includes Cardinal Sarah’s opening address and the concert of sacred music following it) or for any of the three whole days of the conference. All liturgical celebrations will be open to the public, with seating reserved for conference delegates.